Ex-head of the Water Resources Research Center and international dam expert Ahmed Al-Shennawi has predicted the collapse of the Grand Ethiopian Renaissance Dam (GERD) after a few years of its operation. “Parts of GERD have already collapsed twice in the past, once in 2016 and the other in August this year. This proves that the dam is short-lived and will collapse when an imminent earthquake strikes,” he added. He added, “The floods that hit Sudan a few months ago, killing at least a thousand people, were caused by the partial collapse of the GERD due to being hit by an earthquake, which lead to the breaking of several of the dam’s gates and the water rushing out to Sudan, which is only 15 kilometers away.” Therefore, he concluded that these “floods” were not floods at all, “but water sliding from Ethiopia after the partial collapse of the new dam,” he concluded. “The danger of GERD lies in the fact that it is 145 meters tall and holds a great amount of water, so if a collapse happens, the losses will be disastrous. Dams in general are supposed to be much shorter. That is why every time they have tried to fill more than 70 meters of the dam, a collapse happened,” Shennawi explained. 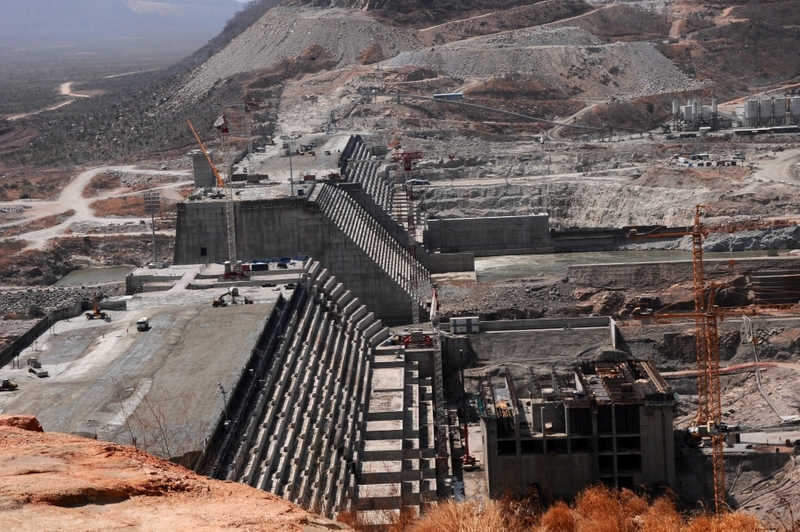 Since the beginning of its construction in 2011, GERD has been a point of contention between Egypt and Ethiopia. Egypt, which currently has the lion’s share of the Nile water, believes Ethiopia’s pegged largest national project will affect its Nile water share, while Ethiopia insists it will not. Since then, diplomatic talks between Egypt, Ethiopia and Sudan have taken place on both presidential and ministerial levels. However, most diplomatic talks have not been fruitful. Tensions mounted when the director of GERD was found dead in his car in July. This was followed by a different tone adopted by Ethiopian Prime Minister Abiy Ahmed, who said that GERD “may never see the light of day” if delays with its execution continue.